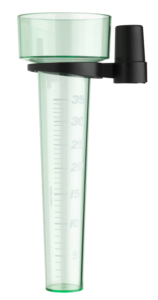 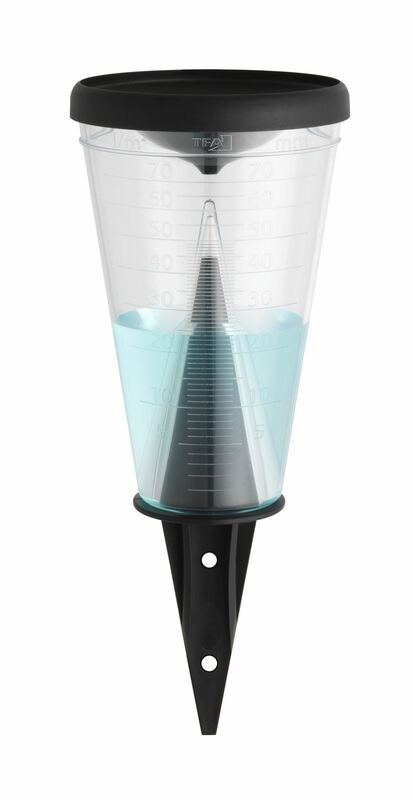 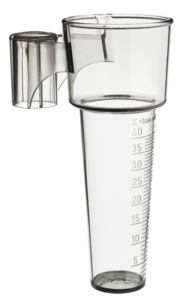 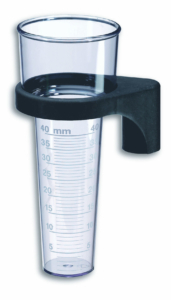 A modern rain gauge with a new, functional design made of weatherproof plastic for easy and exact determination of rainfall. 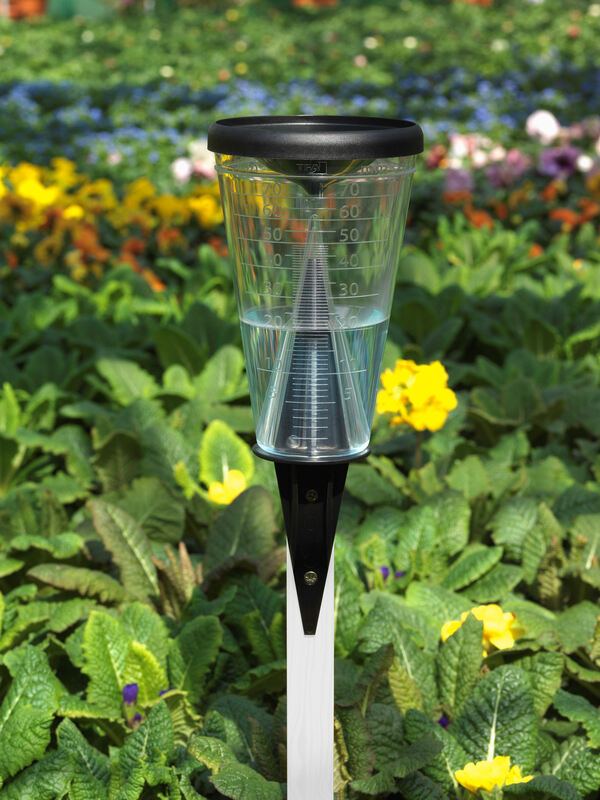 You get very accurate readings due to the large diameter and the scale is easy to read, even with low rainfall. 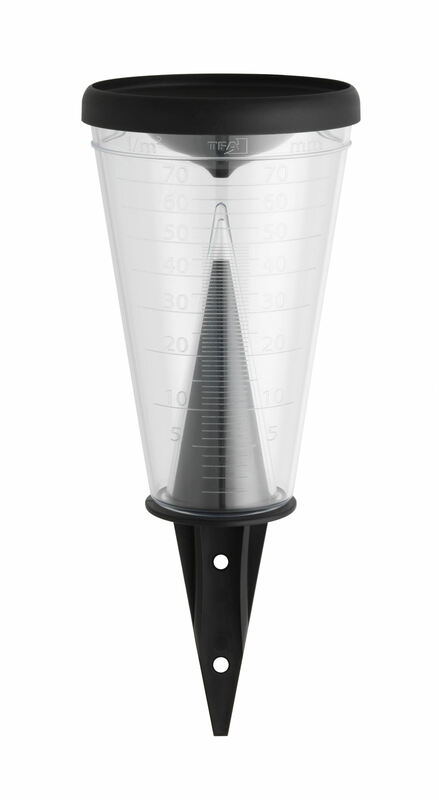 The funnel-shaped lid protects against evaporation. 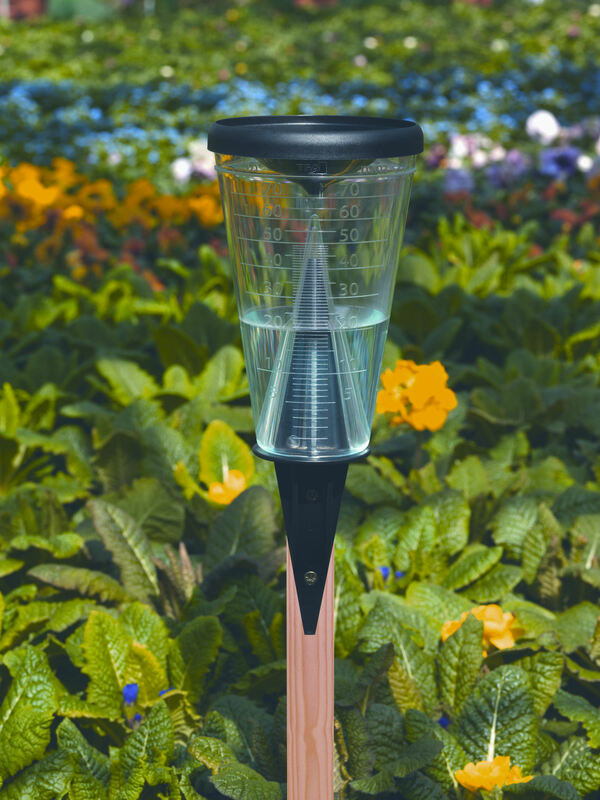 The practical holder can be either inserted directly into the ground or attached to a rod. 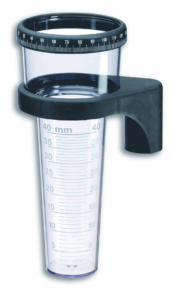 The product is entirely manufactured in Germany.